I was looking through the fridge and didn’t realize that some of my cheeses from Spain got moldy. The sampler one, specifically. 😦 That was a sample of 20 different cheeses gone to waste! The softer cheeses seemed to have gotten the mold first, and have spread to the others. So I immediately tried the other cheese, afraid that it might moldy too (but it was in a different case altogether). 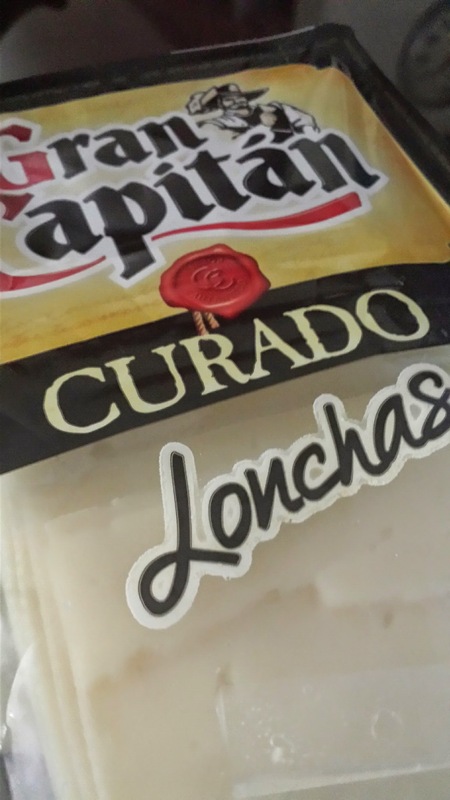 And the one I grabbed was the Lonchas Curado. The one I left behind is the semi curado version.